Thanks to Clifford Edwards for supplying these Photos which would have been taken in the fifties. 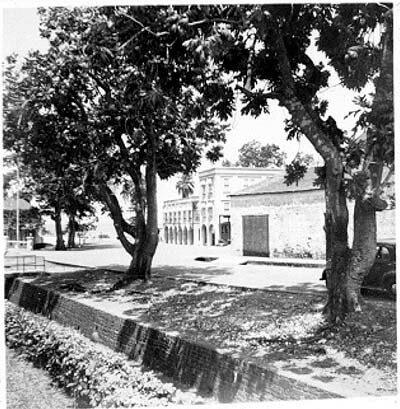 The first picture shows on the left, where Dr Ellis lived and carried on his Dental Clinic in the two story building, and in front was Baynes Bros.
warehouse. 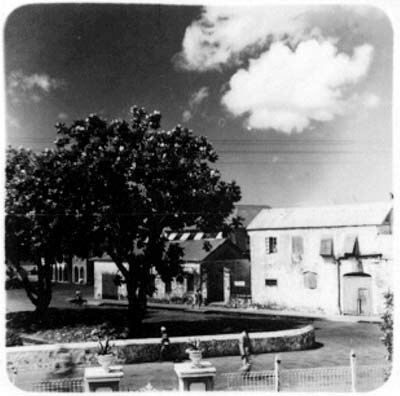 The house on the right belonged to the Gospel Hall. The Caribbean Banking Corporation Ltd. (formally The Royal Bank of Canada) now occupies both properties. 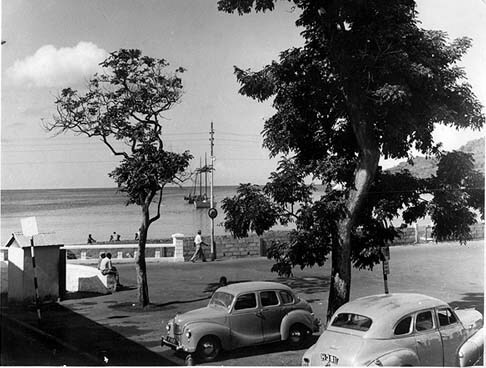 The car park was shaded by two breadfruit trees which can be seen clearer in the second picture. The third picture shows the bottom of the road. It should be noted that this picture was taken before the reclamation. Thanks Clifford for this description.